SHEFFIELD (GB) - Eclipse Magnetics will be attending VRAC TECH Exhibition from October 16th – 18th in Mâcon, France. 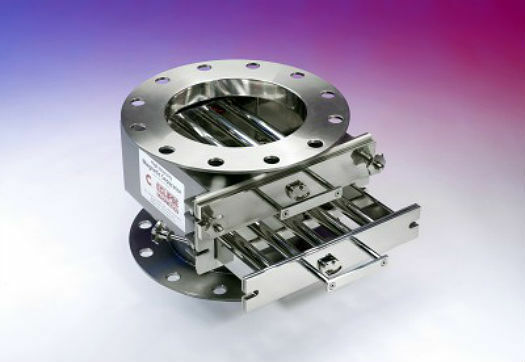 Magnetic separation systems are used in almost every processing industry to remove ferrous and para-magnetic contamination from process lines, preventing product contamination and damage to machinery. Eclipse produce high-quality, high-power magnetic separators for most applications, including bulk, grain, dry powders, damp powders, liquids and syrups and a comprehensive range of metal detectors and vibratory sieves. Most of the range can be supplied with ATEX approval. To find out more about Eclipse’s products, visit stand Hall: Le Spot, Booth B11/C10 at VRAC TECH Exhibition from October 16th – 18th in Mâcon, France.